Watch my appearance on the Law and Crime Network's Daily Debrief with Aaron Keller. Federal officials have denied a request from the Allegheny County District Attorney for a temporary release of suspected synagogue shooter Robert Bowers so he could be arraigned on local homicide and hate-crime charges, reported the Pittsburgh Tribune-Review. The District Attorney’s Office filed three dozen charges late Saturday night, including 11 counts of homicide. Bowers was arraigned on 29 federal charges Monday morning. Bowers is accused of shooting 11 people to death and wounding six others at Temple of Life Congregation in Squirrel Hill Saturday morning. District Attorney Stephen A. Zappala Jr. said in a statement this is “clearly a capital case. “Ideally, as with previous prosecutions, the residents of our county would be the ones to sit in judgment of (Bowers) and should be given the opportunity to determine guilt and subsequent punishment,” he said. Zappala said the investigation has been taken over by the FBI and the Department of Justice, and the case will need to move forward at the federal level first. The state’s charges against Bowers will be put on hold in the meantime, Zappala said, noting his office will make sure Bowers’ right to a speedy trial is not violated. South Dakota murderer Rodney Scott Berget used his last words before his execution by lethal injection to make a joke about traffic, reported Newsweek. Berget, 56, was sentenced to death for killing 63-year-old corrections officer Ronald Johnson in 2011. Berget beat Johnson to death with a pipe during a failed escape attempt the South Dakota State Penitentiary in Sioux Falls with another inmate. Berget’s multiple appeals against the death penalty failed and his sentence was carried out at the South Dakota State Penitentiary on Monday evening just hours after a final rejection by the U.S. Supreme Court. “Sorry for the delay, I got caught in traffic,” Berget joked with state officials as he prepared for the lethal injection, Fox News reported. He also thanked people for their support, mentioning two by name, and made a peace sign with his hand. KSFY reported that Berget’s last meal was buttermilk pancakes, waffles, maple syrup, butter, breakfast sausage, scrambled eggs, French fries, Pepsi, and cherry nibs licorice. “The execution of inmate Rodney Berget was carried out this evening in accordance to state law,” said a statement from South Dakota’s Secretary of Corrections Denny Kaemingk. “South Dakota Codified Law assigns the responsibility for carrying out the warrant of death sentence and offenders that are sentenced to death to the Department of Corrections. We take that responsibility very seriously. Before the murder of Johnson, Berget was already serving life without parole after a conviction for attempted murder and kidnapping in 2003. In 2012, Eric Robert, the other inmate convicted of murdering Johnson, was executed. A third inmate involved in the escape attempt, Michael Nordman, was sentenced to life in prison for handing the other two a plastic wrap and the pipe used to kill the officer. In 2000, Berget’s older brother Roger Berget was executed in Oklahoma after spending 13 years on death row for murdering a man, The Argus Leader reported. U.S. Attorney Scott Brady says federal prosecutors are seeking approval to pursue the death penalty against Bowers, reported the Associated Press. The attack went on for about 20 minutes and the FBI is treating the shooting as a hate crime. “Members of the Tree of Life synagogue conducting a peaceful service were brutally murdered in their place a worship by a gunman targeting them simply because of their faith,” Bob Jones, of the FBI, said. Criminal homicide charges have been filed against a man accused of killing 11 people and injuring several others inside a Squirrel Hill synagogue on Saturday. Police say 46-year-old Robert Bowers walked into the Tree of Life Synagogue yelling anti-Semitic slurs and shooting at worshipers while three separate services were taking place. The Allegheny County District Attorney’s Office has now filed charges against the alleged gunman, which include 11 counts of criminal homicide, along with six counts of attempted homicide, six counts of aggravated assault and 13 counts of ethnic intimidation. Investigators say Bowers was armed with an AR-15 and three handguns. All four weapons were used in the shooting. Bowers exchanged gunfire with police before he was subdued and taken to the hospital. He has undergone surgery and is under guard at the hospital. Four officers were among the injured. One officer was released from the hospital on Saturday and a second was released Sunday. According to Pittsburgh Police Chief Scott Schubert, the other two officers will require further treatment. US President Donald Trump signed the SUPPORT for Patients and Communities Act into law, a measure to combat the opioid crisis by reducing drug demand through education, awareness and prevention efforts, enhancing treatment and recovery, and cutting off the supply from traffickers, reported Jurist. The act has been deemed “the single largest legislative package addressing a single drug crisis in history.” SUPPORT is the short name for “Substance Use–Disorder Prevention that Promotes Opioid Recovery and Treatment.” Trump’s administration is partnered with the National Drug Control Policy (ONDCP), Truth Initiative and Ad Council to focus the education toward youth and young adults. In preventing opioid addiction, the act induces research aimed at “efforts for innovative therapies to prevent addiction, to offer non-addictive pain management alternatives, and to improve overdose prevention tools.” Among other actions to eliminate drug trafficking, the act will help to protect the borders, ports of entry, and waterways and “require more advanced data to flag high-risk international mail shipments.” Other provisions address establishing measures to curtail shipments of synthetic opioids like fentanyl, funding research into non-addictive painkillers, and requirements for the Food and Drug Administration to allot smaller amounts of prescription opioid pills. The Senate voted 99-1 to pass the bill last month with Senator Mike Lee (R-UT) giving the only vote against the legislation. A woman who accused Brett Kavanaugh of attending parties where gang rapes occurred has been referred to the Department of Justice for a criminal investigation along with the lawyer who represents her, Michael Avenatti, reported the ABA Journal. Senate Judiciary Committee Chairman Charles Grassley, an Iowa Republican, made the referral in a letter on Thursday, according to a press release. The Washington Post, ABC, Politico and the Hill are among the publications with coverage. Avenatti and his client, Julie Swetnick, submitted statements to the committee that “likely contained materially false claims,” Grassley wrote in the letter, addressed to Attorney General Jeff Sessions and FBI Director Christopher Wray. Japan’s capital punishment system is criticized as cruel and secretive yet remains popular. Unusual for an major industrialized power, capital punishment in Japan enjoys broad public support with few calls for its abolition, reported the South China Morning Post. Inmates are executed not by professionals but by ordinary prison staff who may have been guarding the condemned for months or even years, and who receive extra an 20,000 yen (US$180) each. “It’s awful, the body bounces like a 70kg object on a nylon rope,” said Toshio Sakamoto, who witnessed noosed inmates plunge to their deaths, and described the process as “unbearable”. Blindfolded convicts, usually serial murderers, are led to a spot with their feet bound and hands cuffed. Then, a trapdoor opens below. The guards assigned to carry out the executions “remember the [inmates’] body temperatures, their breathing, their words … But they must do most of the work,” Sakamoto said. And they receive no counselling. They are expected to “digest” the execution themselves, Sakamoto explained. Japan is the only major industrialized democracy other than the United States to carry out capital punishment. The system was thrust into the international spotlight in July when the country hanged 13 doomsday cultists responsible for a deadly sarin gas attack in 1995 but the secretive methods have come under fire for being cruel for criminals, families and guards. Under law, the death sentence should be carried out six months after confirmed by the top court. In reality however, prisoners languish on death row for many years – Japan has a total of 110 awaiting execution. “Prisoners are typically only given a few hours’ notice before execution, but some may be given no warning at all,” Amnesty International said recently. “Inmates are kept in isolation suffering the anguish of never knowing when they are going to be put to death, sometimes for decades,” the group said. Families are only informed after the execution. “I have realized the real punishment or agony from the death sentence is the fear you feel until the day comes,” he also wrote. Former guard Sakamoto notes that a high reliance on confessions and a conviction rate of much more than 90 per cent allows room for coercion and false charges. A 2014 government survey of about 1,800 people showed 80 per cent thought capital punishment was “unavoidable”, with only one in 10 in favor of abolishing it. But 38 per cent thought it should be abolished if Japan introduces life imprisonment without parole – something the penal code does not currently allow. Kotaro Yamakami, 25, a politics student, said murderers should pay in kind. On July 5, the eve of executions of seven Aum cultists, a smiling Prime Minister Shinzo Abe was photographed in a drinking party with fellow politicians, giving the thumbs-up for a collective snapshot with his justice minister who had signed off on the hanging orders. But he didn’t let that stop him from voting for him anyway, Flake admitted on “The View” according to Huffington Post. A city official in central Florida has been charged with second-degree murder after a fatal shooting at a military surplus store he owns, reported the Washington Post. In indicting Lakeland City Commissioner Michael Dunn on the murder charge, a grand jury effectively rejected Florida’s “stand your ground” law as a possible defense for the commissioner’s actions, though the argument that Dunn acted in self-defense will probably appear again in court, officials said. On Oct. 3, police responded to Dunn’s business, the Vets Army and Navy Surplus store in Lakeland, where Dunn said a man had attempted to steal a small hatchet, according to a statement by the Lakeland Police Department. That alleged shoplifter, 50-year-old Christobal Lopez, was found at the entrance of the store with gunshot wounds and pronounced dead at the scene, police said. According to police, Dunn said Lopez had come into the store with his father, then attempted to take and hide a hatchet while the father was making a purchase. “Dunn stopped Lopez asking him if he was going to pay for the item and a confrontation ensued,” police stated. “Dunn then fired his weapon, striking Lopez, who was still in possession of the hatchet." The percentage of Americans who believe the death penalty is applied fairly continues to decrease, falling below 50% this year for the first time, reported Gallup. Forty-nine percent now say the death penalty is applied fairly and 45% say it is applied unfairly. Cops in Pennsylvania say a man already behind bars for committing two homicides could be a serial killer responsible for multiple unsolved slayings that stretch back decades, Reports the Huffington Post. Regis Brown, 59, of Fairview, pleaded guilty to brutally murdering his wife, Michelle, 53, and his 35-year-old stepdaughter Tammy Greenawalt inside their Fairview Township home earlier this year. Investigators said he killed the two women in the presence of Brown’s 14-year-old stepgranddaughter, whom he held captive for several days, police said. Brown received a life sentence last month after pleading guilty to one count each of first- and third-degree felony murder. The story might’ve ended there, police said, had Brown not decided to keep talking about his past, which they now suspect involves up to a half-dozen other homicides. 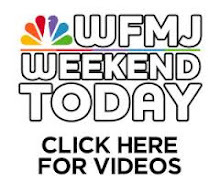 During a Thursday news conference, Pennsylvania State Police Detective Joseph Vascetti announced charges against Brown in the 30-year-old cold case slaying of 45-year-old Bryce Kenneth Tompkins, of New Castle. Tompkins’ body was found partially submerged in a Lawrence County creek on Dec. 26, 1988. An autopsy determined he’d been shot twice in the back. According to Vascetti, Brown admitted to killing Tompkins because he was a witness to a burglary Brown had committed. Up to this point, Brown has only been charged in Tompkins’ death. But officials say there’s much more to this case. “He’s either been arrested for, or confessed to, or is a strong suspect in eight homicides right now in the northern part of the state from Lawrence County to Erie,” Vascetti said. The detective declined to provide additional information in the five other homicides. It’s also unclear why, after so many years, Brown has allegedly decided to cooperate. Brown faces multiple charges in connection with Thompkins’ slaying, including criminal homicide, aggravated assault and intimidation of witnesses, police said. Four of Louisiana’s highest-profile district attorneys are lending their support to a proposed constitutional amendment on the Nov. 6 ballot that would require juries in the state to return unanimous verdicts in all felony cases – something every other state besides Oregon does, reported The Advocate. Hillar Moore III, Paul Connick, James Stewart Sr. and Keith Stutes, the district attorneys, respectively, for East Baton Rouge, Jefferson, Caddo and Lafayette parishes, each told The Advocate this week that they have decided to back the closely watched ballot measure. They preside over four of the six busiest trial dockets among Louisiana’s 42 judicial districts, records show. Moore said he hopes changing the law will help restore fractured confidence in the criminal justice system. Stewart, a retired judge, called the proposed amendment an “opportunity to be on the right side of history,” and noted that Louisiana already requires unanimous verdicts in capital cases and for lesser felonies tried by six-person juries. Stutes, whose jurisdiction includes Acadia and Vermilion parishes along with Lafayette, offered a similar rationale for his endorsement. “I simply think at this point in our history, it’s no longer good for us to be one of only two states that are different than the rest of the nation,” he said. FBI agents are probing the Manhattan district attorney’s office over its handling of high-profile cases that were dropped once lawyers for the well-connected subjects made donations, reported the New York Daily News. Investigators have been quietly seeking information in recent months about decision-making by DA Cy Vance Jr. and his staff, sources with knowledge of the undertaking said. The queries are centered on how things are handled in the office and who the major players are, the sources said. The FBI interest grew out of revelations that investigations were closed once lawyers representing the bigwig suspects made hefty donations to Vance’s campaign coffers, sources said. The team has asked about current and former high-level staff members and their relationships to private law firms and outside agencies, sources said. Investigators are considering whether undue influence was at play. The extent of the inquiry was not immediately known and it was not clear whether criminal charges were being considered. Manhattan’s top prosecutor came under fire last year after questions surfaced about his office’s 2015 decision not to go after ex-Hollywood mogul Harvey Weinstein after model Ambra Battilana accused him of groping her breasts in his Tribeca office. A lawyer hired by Weinstein at the time had given Vance $24,000 and another attorney sent him $10,000 after the decision to spare the powerful producer an arrest. The latest available data from the Justice Department show that during the first eleven months of FY 2018 the government reported 340 new official corruption prosecutions,. If this activity continues at the same pace, the annual total of prosecutions will be 371 for this fiscal year. According to the case-by-case information analyzed by the Transactional Records Access Clearinghouse (TRAC), this estimate is down 23.5% over the past fiscal year when the number of prosecutions totaled 485. The comparisons of the number of defendants charged with official corruption- offenses are based on case-by-case information obtained by TRAC under the Freedom of Information Act from the Executive Office for United States Attorneys (see Table 1). Compared to five years ago when there were 636, the estimate of FY 2018 prosecutions of this type is down 41.7 percent. Prosecutions over the past year are lower than they were ten years ago. 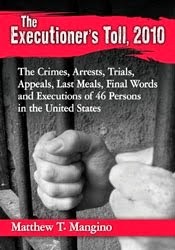 Overall, the data show that prosecutions of this type are down 45 percent from the level of 675 reported in 2008 and down 59.1 percent from the level of 906 reported in 1998. A new survey commissioned by the Foundation for Safeguarding Justice finds opposition to proposals in Congress that would reduce federal criminal penalties for drug traffickers and allow the release of prisoners to “home confinement,” reported The Crime Report. Three out of four people surveyed (74 percent) said that they oppose proposals that reduce penalties for criminals involved in the trafficking of heroin, fentanyl, and similar drugs. The foundation was created by the National Association of Assistant United States Attorneys (NAAUSA), who prosecute criminal cases in federal courts. The foundation says that the FIRST STEP Act, now pending in the Senate, would permit the release of drug traffickers serving time in federal prison, with the remainder of their sentence spent under “home confinement.” Critics say that home confinement allows drug traffickers to continue illicit activities while serving their sentences. A proposal to reduce federal penalties for traffickers in heroin, fentanyl, and similar drugs is opposed by 87 percent of Republicans, 70 percent of Democrats and 73 percent of independents, the foundation says. Only 14 percent of survey respondents believe the federal government is too tough in its handling of drug trafficking, while three out of four (76 percent) think that the federal government is either not tough enough (51 percent) or about right (25 percent) in its current handling of drug traffickers. Rather than allow inmates to receive personal letters, drawings from their children, photographs, birthday cards, and other kinds of mail directly, the Pennsylvania Department of Corrections will use a new service that will cost taxpayers at least $376,000 a month, or well over $4 million a year, reported Reason Magazine. 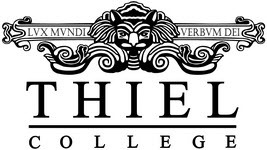 As explained on its website, the department implemented the new policy after staff members were reportedly sickened by an unknown substance, which prompted the announcement of a statewide lockdown in August. Mail will first go through a Florida-based service called Smart Communications. The company will scan the mail and then send black and white digital copies to inmates. The original mail, including photographs, will then be held for 45 days and subsequently destroyed. The electronic mail will only be saved for seven years. Mail related to legal matters and other official documents will be forwarded to the institutions, opened in front of the inmate, copied, and the originals will be destroyed after a 15-day retention period. Inmates will not be able to keep the originals. The department maintains that the process will help cut down on a the amount of drugs smuggled into state prisons, even documenting drug finds on various inmates. It's also a good business opportunity for private companies seeking to contract with prisons. Smart Communications already provides limited email technology and a teleconferencing system to prisons, and now touts its mail system as completely eliminating postal mail. Bloomberg quotes Corrections Accountability Project Director Bianca Tylek, who believes digitized mail services could earn private contractors "more than $180 million annually." There was an extraordinary verdict in Chicago last week. A white police officer was convicted of killing a black teenager. A Chicago police officer hasn’t been convicted of killing a suspect while on duty in more than a half century. What might be even more extraordinary is that the police officer was charged at all. Jason Van Dyke was a 13-year veteran of the force. According to The Associated Press, he was the subject of at least 20 citizen complaints — eight of which alleged excessive force. The killing occurred in 2014. Van Dyke shot 17-year-old Laquan McDonald 16 times as McDonald carried a knife and refused to heed the orders of police. The dash cam video of the incident is shocking and has been viewed by millions of people across the country. The video is graphic and shows Van Dyke emptying his service pistol into McDonald as he fell and lay motionless on the ground. The video was concealed from the public for 13 months. Had the video remained under wraps Van Dyke might still be patrolling the streets of Chicago. Even before the trial, the case had an impact on law enforcement in Chicago. The city’s police superintendent was fired and the county’s top prosecutor, who waited 400 days to file charges, lost a bid for reelection. The killing also led to a Department of Justice (DOJ) investigation. Nicole Gonzalez Van Cleve, an Associate Professor at The University of Delaware, wrote in The Atlantic that the DOJ report detailed excessive use of force, including shooting unarmed citizens who did not pose a threat. The disciplining of officers was both rare and inconsistent. The report revealed that the Chicago Police Department engaged in coordinated efforts to “coach and conceal” misconduct. A week before jury selection, Mayor Rahm Emanuel became the latest victim of the alleged cover-up, announcing he would not seek a third term. Emanuel faced fierce criticism after he fought the release of the dash cam video until after his re-election in 2015. Prosecutors in Chicago charged Van Dyke with first-degree murder. Prosecutors had to prove his intent beyond a reasonable doubt — the highest standard of proof in the court system. Jurors clearly crossed that threshold, reported the Chicago Sun-Times. But the judge also instructed them to consider a “mitigating” factor. Van Dyke was convicted of second-degree murder and 16 counts of aggravated battery for each shot fired into McDonald. Following the verdict, three jurors said they had problems deciding between first and second-degree murder. “Second-degree was the mitigating factor that in Mr. Van Dyke’s mind he was doing the right thing, he was experiencing an extreme threat, in his mind that’s how he’s experiencing it, and he felt like he needed to protect himself,” said one of the jurors. This case is not over. Three other Chicago police officers — David March, Joseph Walsh and Thomas Gaffney — are charged with lying about the shooting and conspiring to protect Van Dyke from possible prosecution. The three officers pleaded “not guilty” and are scheduled for trial beginning Nov. 26. For some in Chicago, the next trial is as important as the last. Confidence in the police has eroded as a result of the alleged cover-up and the many cover-ups that created a 50-year lull in prosecuting police officers for using deadly excessive force. 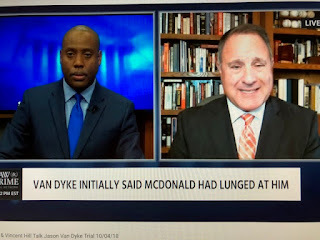 Watch my segment with Gene Rossi and Host Bob Bianchi on Law and Crime Network examining the aftermath of the Jason Van Dyke Trial. Republicans are moving forward with plans for a key procedural vote on Friday and a final vote on Saturday to seek confirmation of Judge Brett Kavanaugh to a lifetime job on the U.S. Supreme Court. Republicans control the Senate by a 51-49 margin, reported the Huffington Post. No Republicans have said they will vote against Kavanaugh, although four have not committed to supporting him.